I’m keeping my eyes open. I’m looking around. I have not got my face fixed on the screen of my mobile phone as I walk so I notice things on the streets of Brunswick and Coburg. Anarchist posters with anti-religion and anti-fascist graphics and all the beautiful aerosol works down the bluestone alleyways. 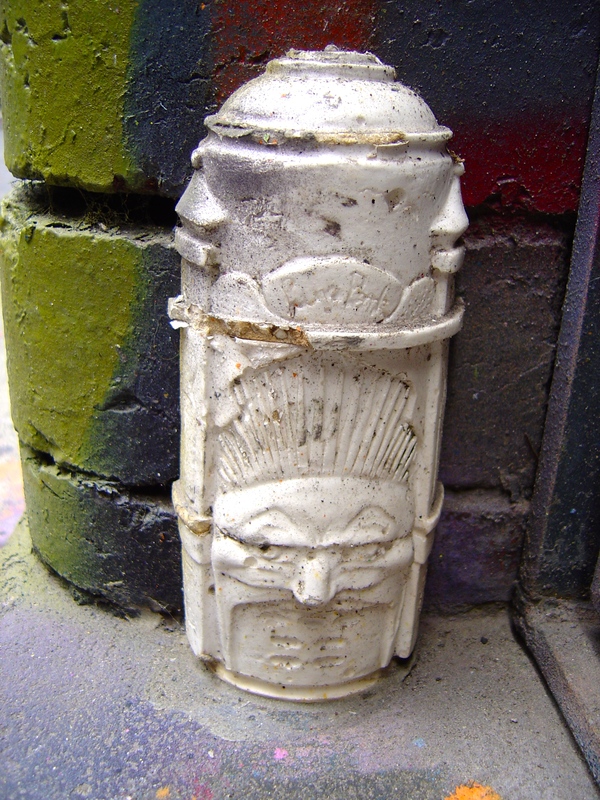 I hope that whoever is doing the Wandjina spirit in paint, paste-ups (and now in ceramics?) has the cultural authority to use the sacred image. That they are an Mowanjum person from the Kimberley and not some Europeans living in the Blue Mountains, as in the 2017 controversy over the use of the image of the Wandjina spirit. But then this is the street and nobody is meant to know. A piece by Discarded along the bike track is less obvious. I can’t be sure that I haven’t overlooked this piece for a year or more. 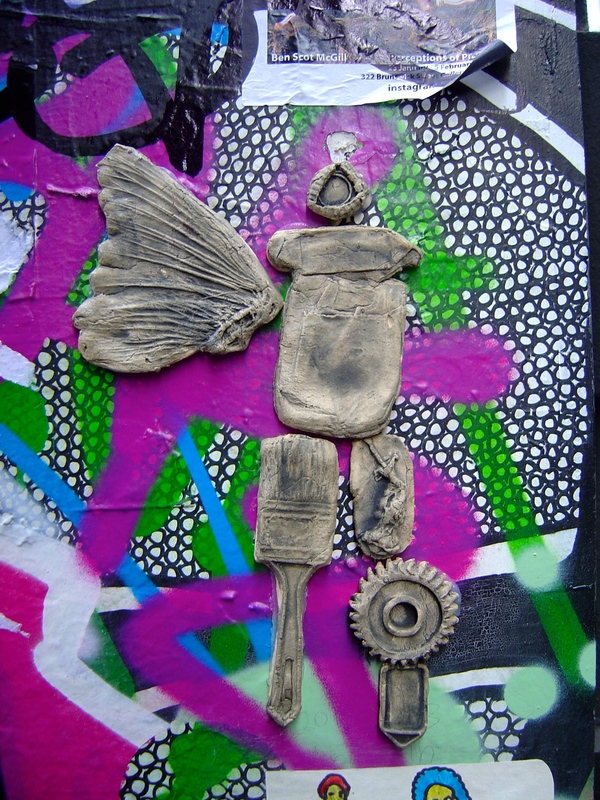 The cast ceramic pieces of discarded items found on the street are collaged together into a new form. The piece is framed by the better brickwork outside the patch. I am keeping my eyes open as I quickly photograph the piece to avoid being run over by a bicycle when I kneel down. Sometimes it is so obvious that you only have to be there. I see Civil behind a row of orange bollards, half way up another wall in a Sydney Road carpark. He is painting another scene of stick-figure people, dogs and bicycles with a brush. The description of stick-figures sounds crude when the practiced lines of Civil’s figures is anything but crude. They have the simplicity of a figure by Keith Haring or Matisse. The curved lines arms and active legs along with the simple details of hats, dresses and bicycles. I saw a lot of new Civil walls for it was only an hour before that I’d noticed that Civil has repainted his old wall in Tinning Street with more of his stick figures but this time against a bright green background. For more on Civil read my earlier post. Keeping my eyes open in Brunswick had its visual rewards. Street art sculptures from the last twelve months and continuing my series of posts about street art sculptures and installations. 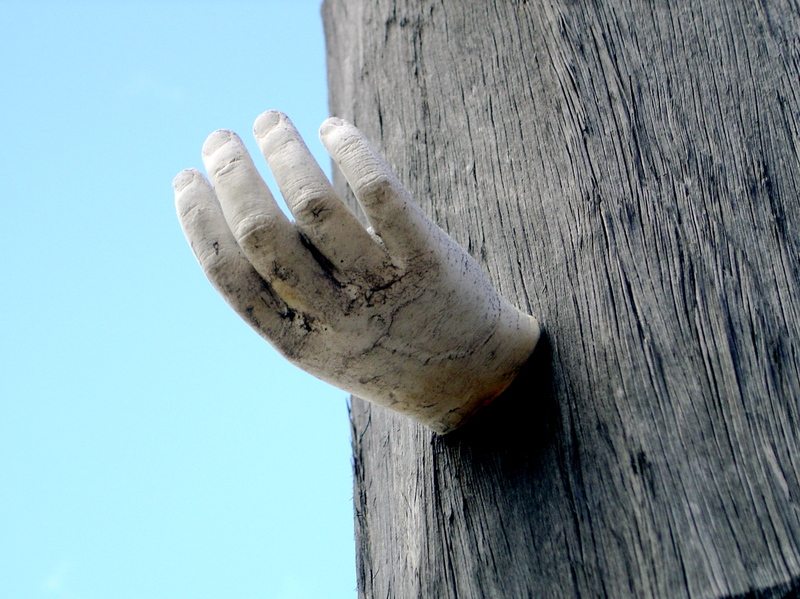 Former Sydney-based sculptor Will Coles is now living in England; Banksy’s home town of Bristol to be precise. 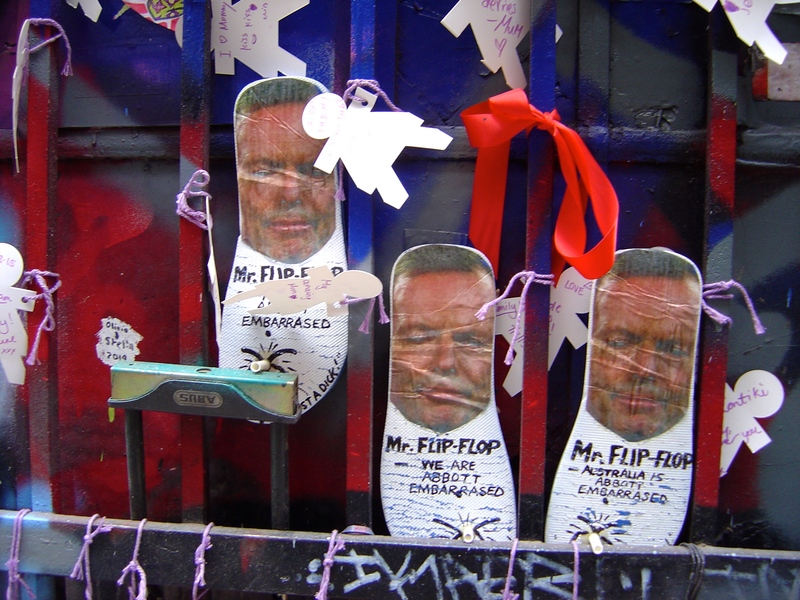 In Bristol he has been taking on the topical issue of memorials to racists and slave traders. 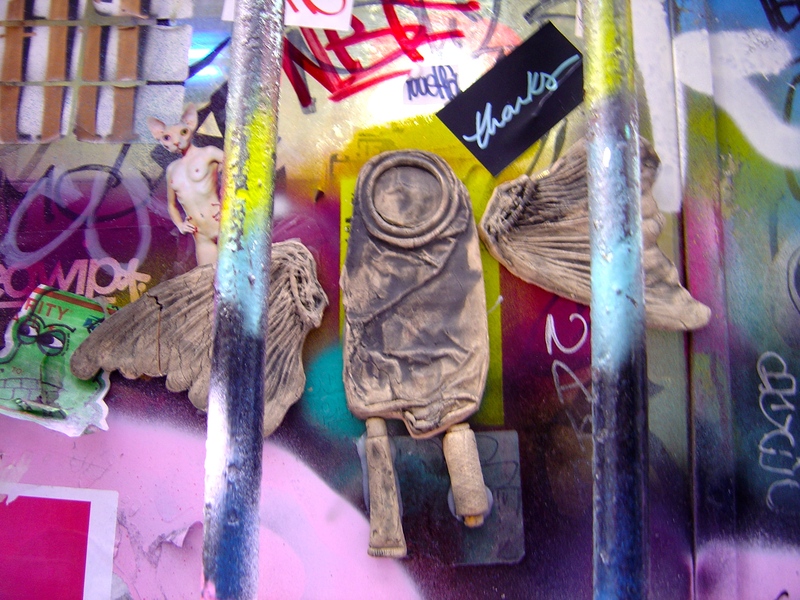 Junky Projects also continues to put up his sculptures, along with leading street art tours, however, I want to concentrate on a some unknown and lesser known artists. 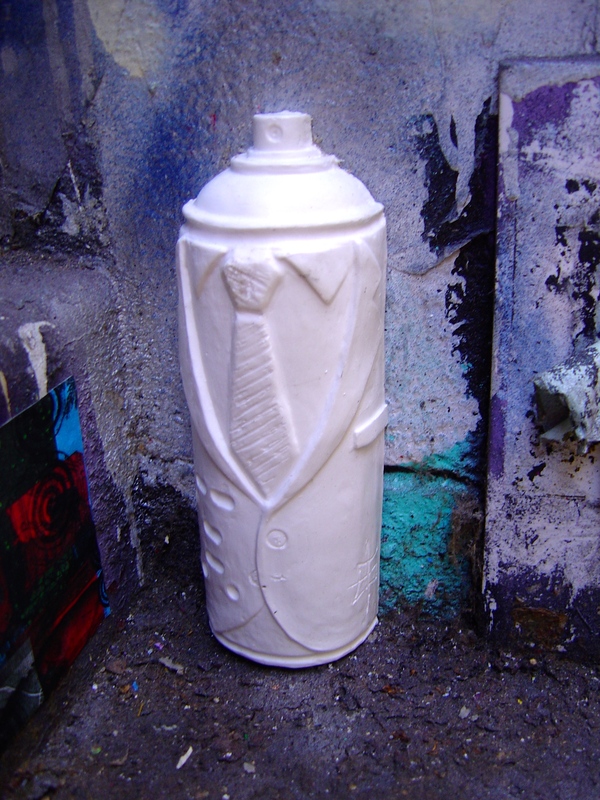 It is good to see that Discarded has continued and has left this great ceramic piece in Brunswick, as well as, one the smallest pieces that I’ve ever seen. 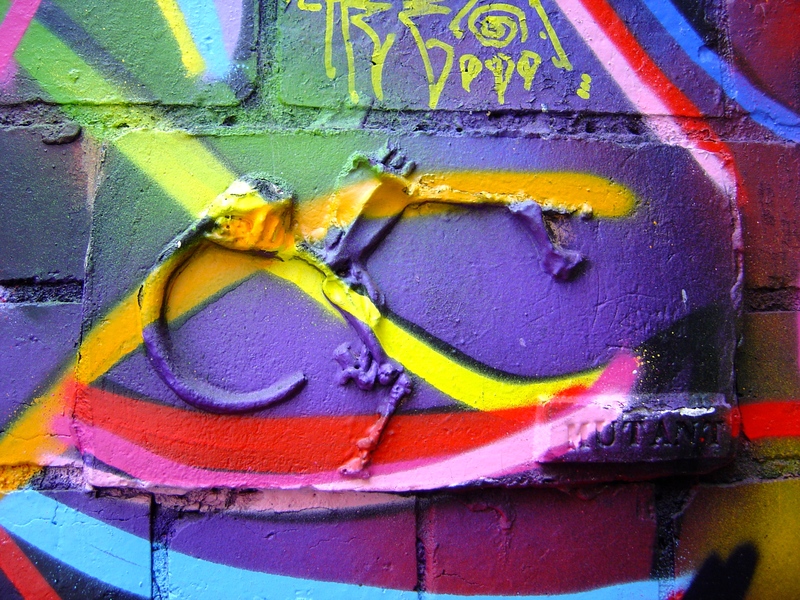 Forget Hosier Lane, Presgrave Place is still the best place for the second year running to look for street art sculptures in Melbourne. Crisp did this high up on the main wall along with reviving stencils with Star Wars memes lower down. Adi’s attempt at creating a guerrilla gardening planter box died. Gigi has been making body parts with hair that are very disturbing in her own way. And the placement of this one is fantastic. They still work when covered in spray paint. 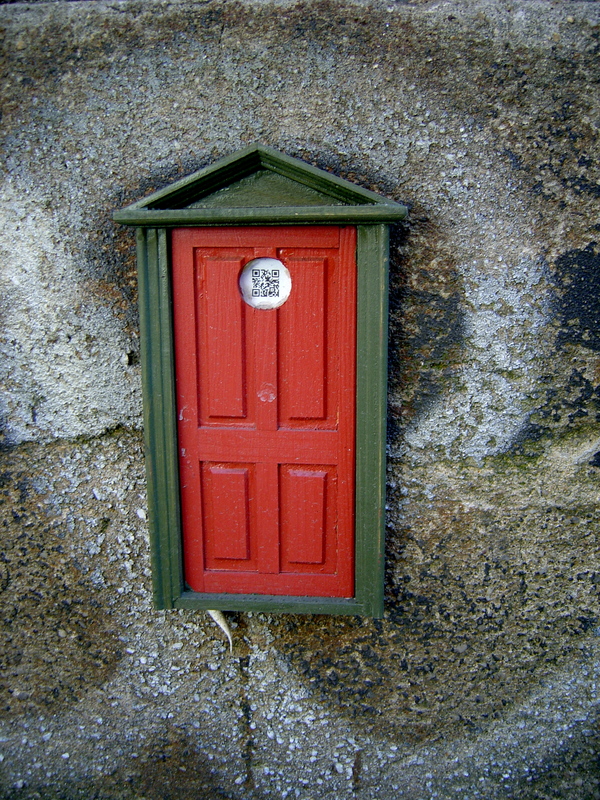 Visiting artist Mow left a few little doors and windows, part of a trend for tiny architecture in street art where many guys have been making models. 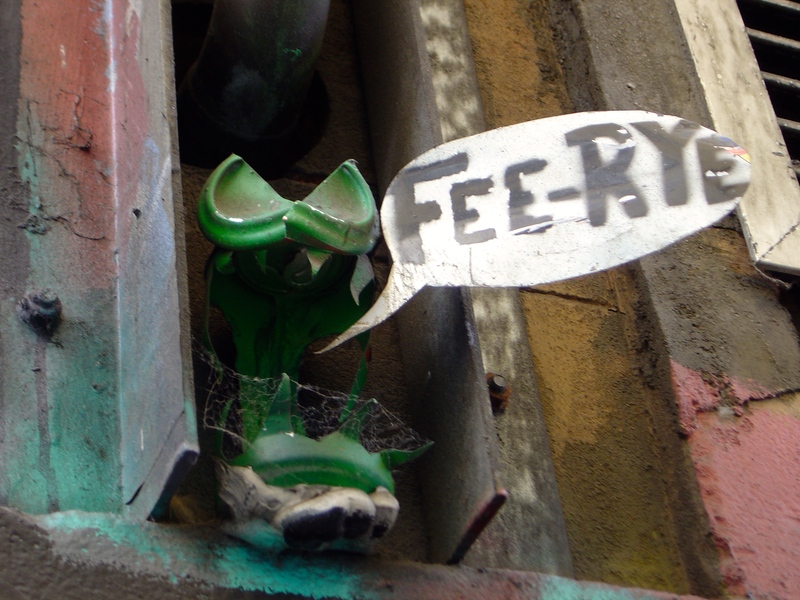 There was even a miniature abandoned house chained up in Hosier Lane for a short time. I also enjoyed seeing the work of Kai’s cast panels in the streets of New York this year. This is just a small post with a small collection of photos about the smallest works of street art. The antidote to the inflated egos and dubious aesthetics of murals are the smallest of graffiti pieces. To find them just look in the opposite direction to the murals, look down the wall below eye level. 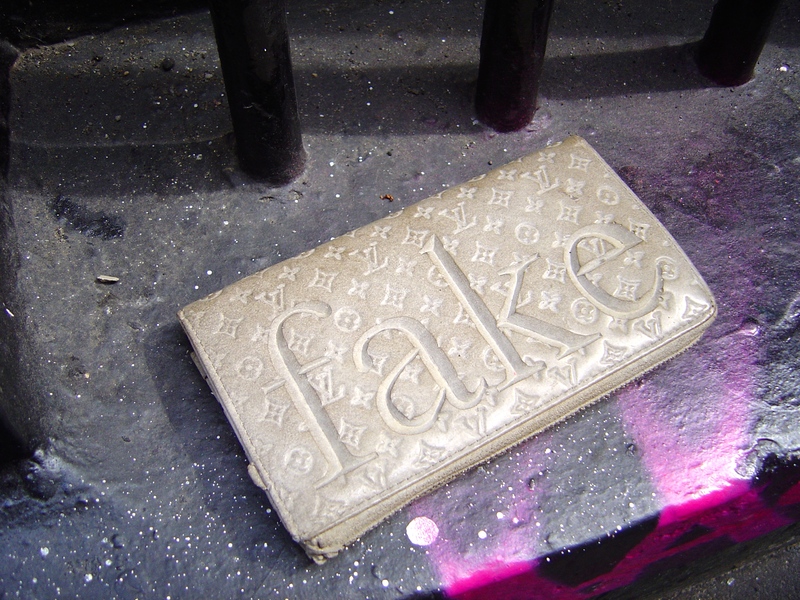 There are miniature street art sculptures, tiny drawings, small stickers; overlooked and often entirely unseen. 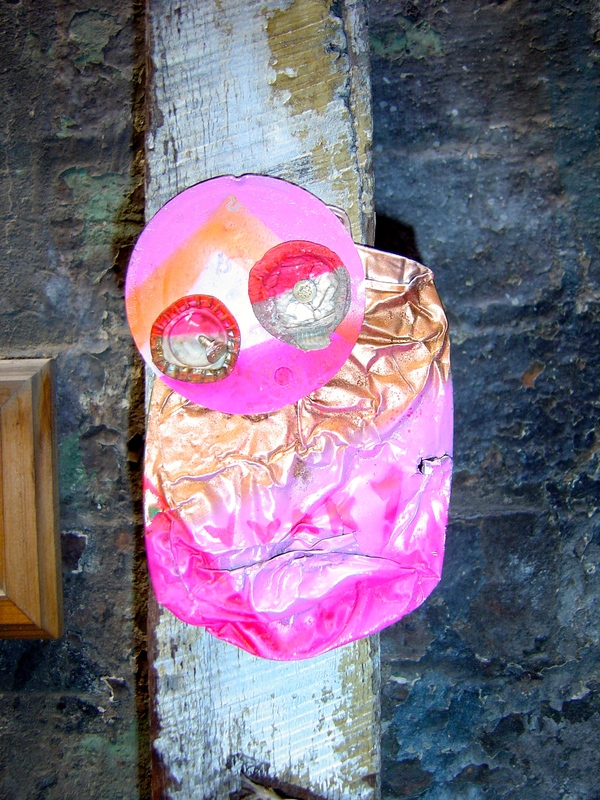 At that scale they become a treasure hunt, rewards for being aware and looking around in the city. They are so small that often there is no room for a tag or signature but I think I know some of the artists, please comment to correct or add to this information. Walking up Hosier Lane on probably the last warm day of the year, enjoying the location, admiring the callipygian women in their shorts and watching the people as much as the walls. A busker is playing a guitar; I haven’t seen that many buskers in Hosier Lane even though there always lots of people there. A man drives his Harley Davidson up steep incline of the bluestone lane to photograph his hog in front of one of the walls. A seriously good looking motorcycle but not a serious photographer using his cell phone. It is always interesting to see how different people use this laneway in Melbourne, a reminder that there are many ways of living life. I also have an objective in Hosier Lane besides people watching. 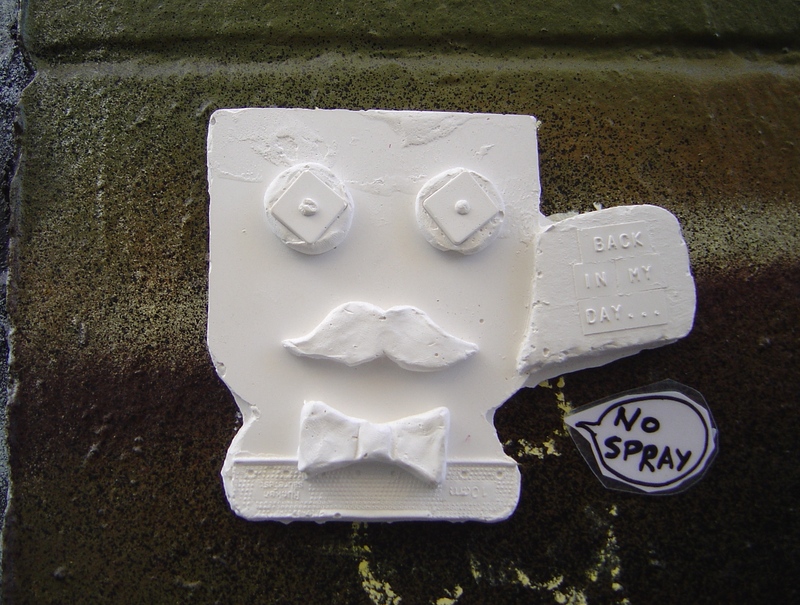 I am on a mission to collect more photographs of street art sculptures. There is a lot of it about, enough for another blog post. Not only because Will Coles has endowed Melbourne with many new works in a recent visit from his home in Sydney but because there are more street artists doing three dimensional work. Will Coles has a lot of new work around Melbourne. 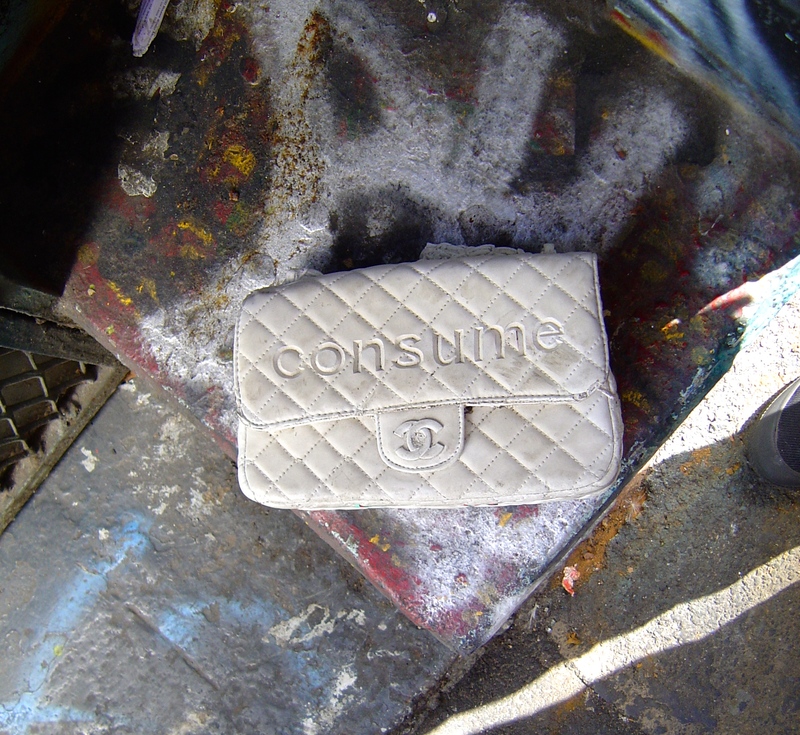 His cast designer purse with the word ‘Fake’ and the designer handbag with the word ‘Consume’ in Hosier Lane are a big hit with the anti-fashionistas. 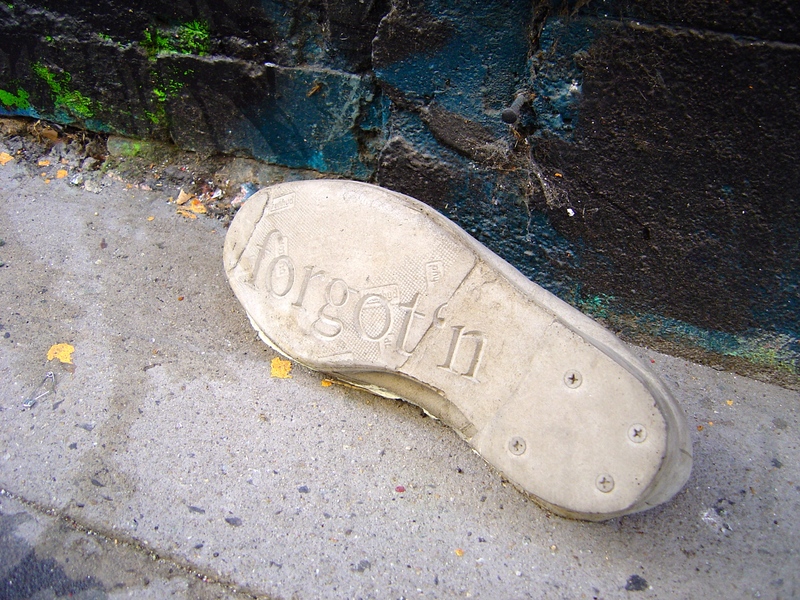 His discarded shoe appears forgotten. 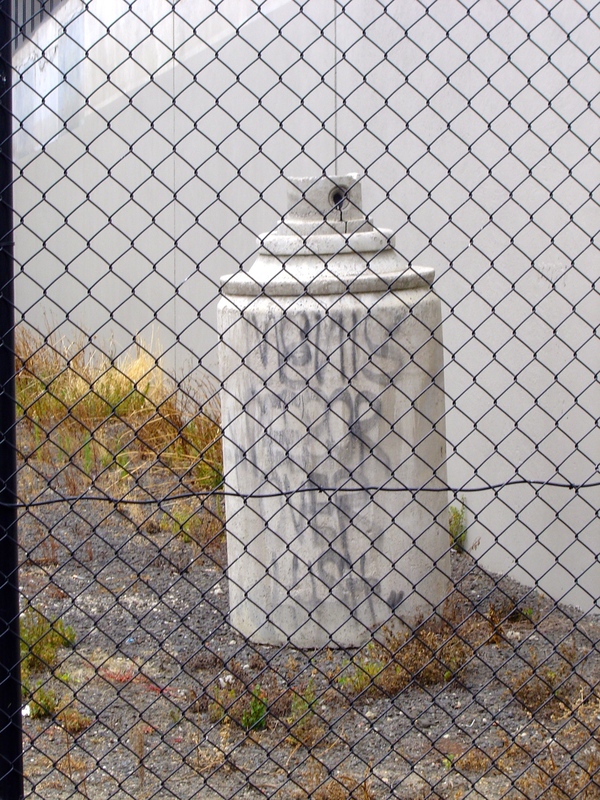 I want to keep up with recent street art sculpture partially what I’ve written in the final chapter of my book, Melbourne’s Sculpture; that street art sculptures are the most recent type of public sculpture. This should not be confused with being the ultimate type of public sculpture, street art sculptures are not about to replace the established types of public sculpture. I also admire the tenacity and ingenuity of anyone who makes a durable sculpture and install it in the street with or without permission.